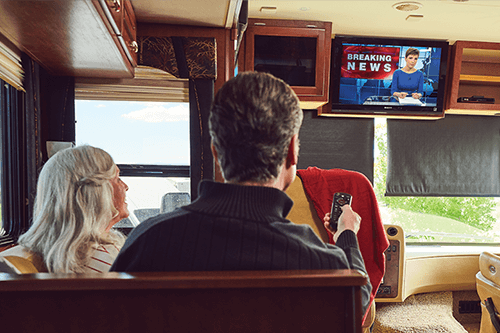 Get HD TV wherever you roam, even if you don't have DISH at home. 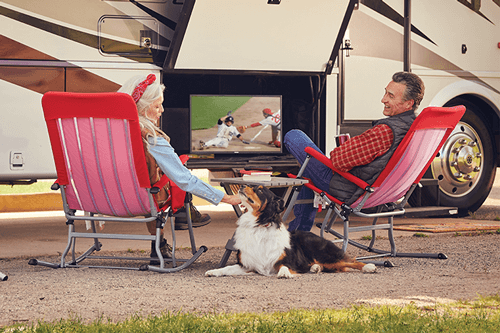 Built for RVs with options for multiple TVs and in-motion viewing. Our antennas are portable, easy to set up, and no Wi-Fi required. 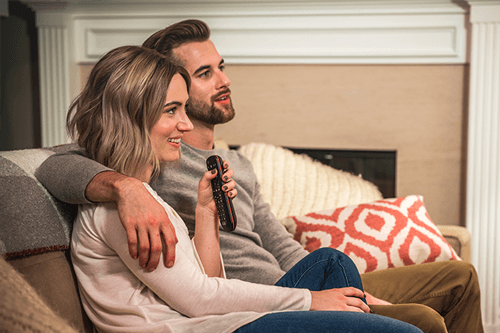 The world’s smallest HD Receiver, with built-in apps, and remote finder. Pay As You Go from $34.99/mo. with no contracts or credit checks. Just activate your TV whenever you need it! 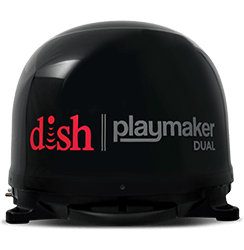 DISH offers award-winning, best-in-class products at the lowest prices. Fully automatic, portable, and lightweight. ✓ Rugged and lightweight at 8 lbs. State-of-the-art redesign, with the first-ever ultramodern clear cover. Our smallest portable automatic antenna. ✓ Compact and lightweight at 7 lbs. Engineered for optimal performance and maximum durability. The world's smallest HD satellite receiver. ✓ Watch sports and movies in stunning 1080p resolution. ✓ Intuitive channel guide with easy access to everything. ✓ RF Remote - 200-foot range works around objects and through walls. ✓ Remote Finder - Find your remote with the touch of a button. 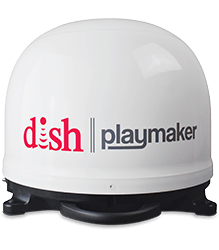 Only DISH lets you watch live HD TV in less than 15 minutes*. 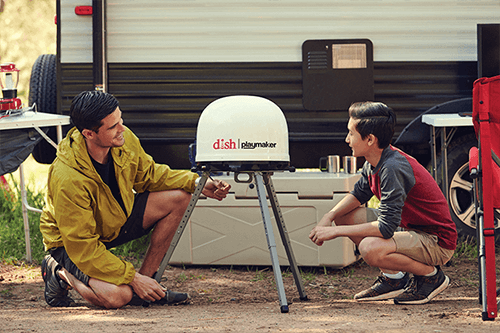 From automatic signal finders to lightweight and portable designs, DISH takes the hassle out of setting up your entertainment. Get crystal-clear HD channels anywhere outdoors. 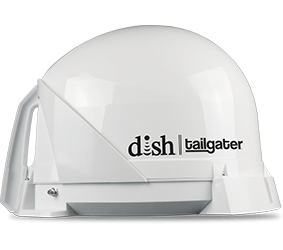 DISH antennas support HD TV for a fraction of the cost of the competition. 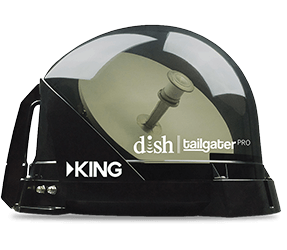 Only DISH provides HD on all portable antennas. Add to your existing service for only $7 a month and get your home and outdoor TV in one bill! With the purchase of a DISH solo HD receiver and DISH-compatible antenna. Minimum program requirement may apply. With DISH, you only pay for the months you use. 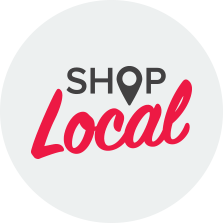 No long-term contracts and no credit check required.